HowStuffWorks.com, together with its numerous video and podcast series, like the hilarious Stuff You Should Know, is arguably one of the most interesting websites on the Internet. It's no wonder - HSW is owned by Discovery Communications, which you may recognize from, oh, I don't know, the Discovery channel. 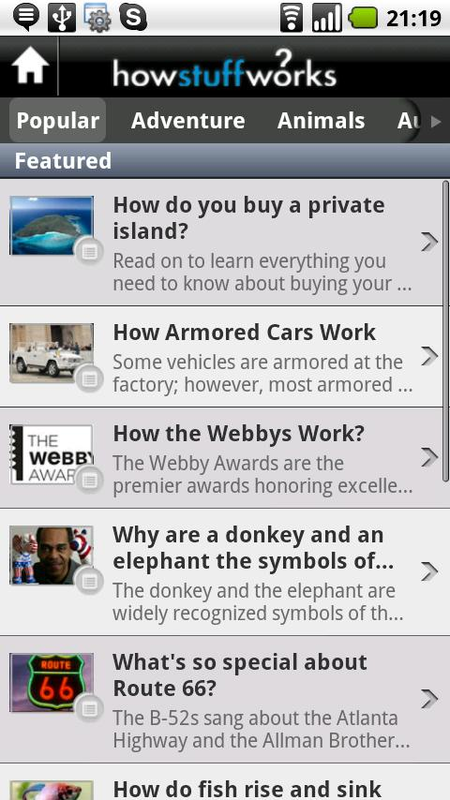 Sometime ago, Discovery finally decided that Android users are not discovering enough and not figuring out exactly how all of this stuff works, and got to work on a dedicated HowStuffWorks app. 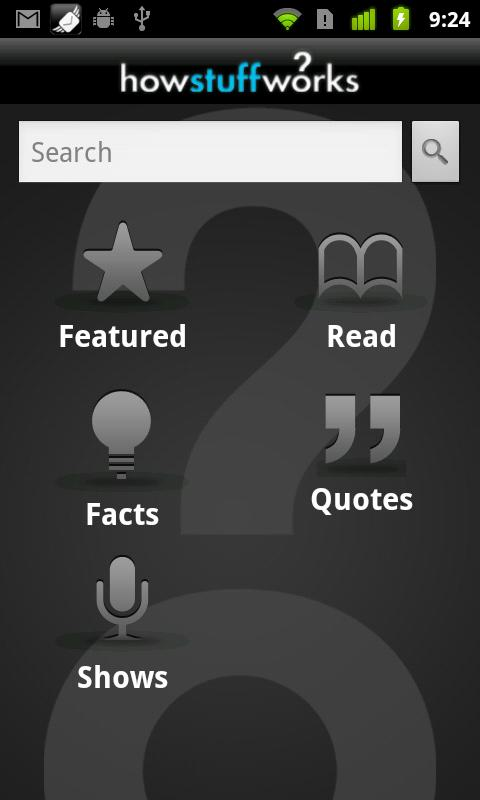 Today, the final product, which lets you stalk HowStuffWorks podcasts, videos, articles, and all their authors better than a dedicated stalking app made by your ex-girlfriend could ever do, was unleashed onto the Android Market. We're talking push notifications here, people. 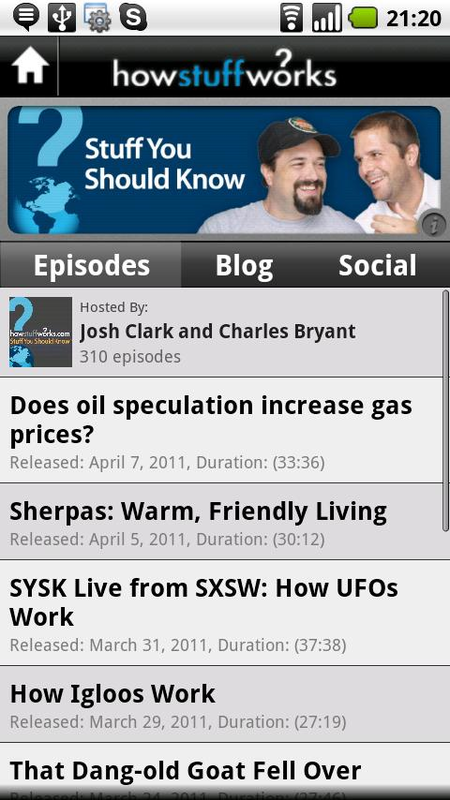 The HowStuffWorks Android app not only gives you instant access to a massive collection of articles and podcasts right on your Android device, but also you gives you direct access to our famous podcasters and HowStuffWorks experts! 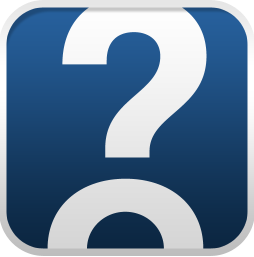 Tweet with the HowStuffWorks crew while you listen! 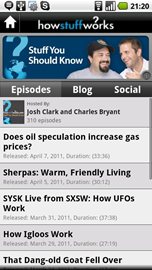 Stream our amazing popular podcasts while reading any article in the app -- or chat directly with the podcasters -- even read their newest blog posts. Want to get a new episode ASAP? 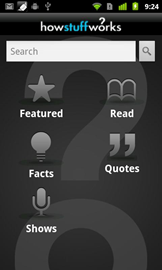 Set up a push notification and you’ll instantly be the first in the know! 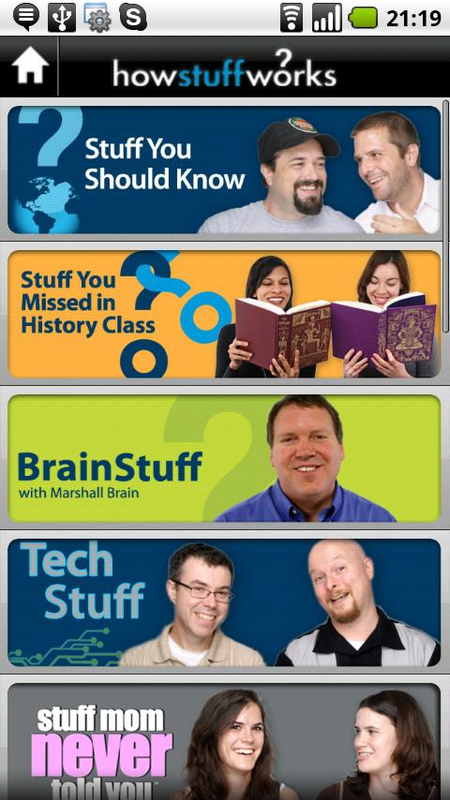 All 2,000+ of these great shows are now immediately available in the new HowStuffWorks Android app! -Stuff You Should Know: Josh and Chuck give fans permission to ponder. -Stuff You Missed in History Class: If you weren’t paying attention, Stuff You Missed in History Class has you covered. 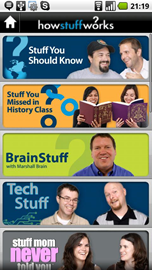 -BrainStuff: HowStuffWorks founder, Marshall Brain, shares quick nuggets of stuff that will make you smarter! -Stuff Mom Never Told You: SMNTY keeps listeners looped in on the stuff that mom forgot. -TechStuff: The perfect podcast for seasoned techies and novices alike, this show breaks it down in a way that comforts even the staunchest technophobe. -Stuff to Blow Your Mind: For the nerd in us all, this podcast will blow your mind. 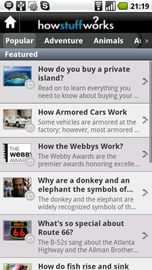 -CarStuff: HowStuffWorks.com goes behind the wheel and under the hood in this auto-enthusiasts favorite. -Stuff They Don’t Want You to Know: Conspiracy theorist? You’re not alone. -The Stuff of Genius: Join HowStuffWorks founder, Marshall Brain, as he breaks down the evolution of everyday stuff in a fascinating way. -The Coolest Stuff on the Planet: The Coolest Stuff on the Planet lets you take a tour around the most awesome places on Earth, without having to hop on a plane.